On Life and Theatrical Thought and Practice The experience of Barba’s Odin Teatret is at the center of two recently published volumes. We all know that Salento gave the origins to two of the most important protagonists of contemporary theater, Carmelo Bene from Campi Salentina and Eugenio Barba from Gallipoli, or from Brindisi if we go by the city hall registrar. Their essays and literary production is on a level with their activity in the production of artistic performances; I’ve seen many of these but I’ve also read and studied many of their books, which open up enlightening glimpses so as to understand and interpret the performances and their vision of the world. Bene and Barba are two essential points of reference for the international theater culture, absolutely unique in their ability to conjugate theatrical thought and practice, to make life and art an uninterrupted whole, the former fuelled by contemporary philosophical thought, from Nietzsche to Derrida, the latter going so far as to found a new theoretical discipline, Theatrical Anthropology. Their intellectual standing and the widespread and undisputed international recognition means that their critical writings, biographies and works crowd the library shelves and video collections both public and private, often translated into numerous foreign languages. I cinque continenti del teatro (Edizioni di Pagina, Bari, 2017), written in tandem by Nicola Savarese and Eugenio Barba, and Odino nelle terre del rimorso. 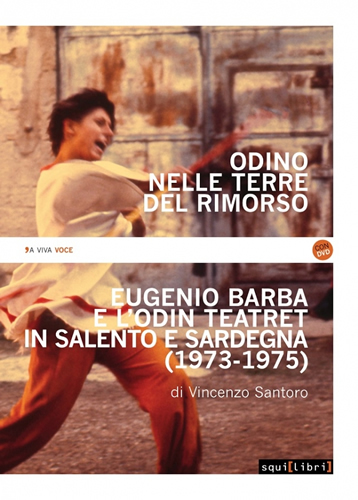 Eugenio Barba e l’Odin Teatret in Salento e Sardegna 1973-1975 (Squilibri, Roma, 2017), by Vincenzo Santoro, are the most recent volumes published about Barba. Precious works above all because they help us to delve deeper into the great director’s language innovations that are also ethical, social and political innovations, in an inextricable tangle of theatrical thought and practice. Trying to list and analyze the points of contact between these two poles means telling a unique and original story, whose beginning is the founding, first in Norway and then in Holstebro, in Denmark, of a solid “theatrical community”, that still enjoys the active participation of some of its original protagonists, from Jan Fervslev to Iben Nagel Rasmussen, from Else Marie Laukvik to Tage Larsen. It’s neither useless nor irrelevant to underline the community dimension of Odin Teatret, not only because we all know that the theater at its birth was a way for the citizens to meet in the agorà and thus a specific form of relating between people, but also because in the 60s and 70s, or even before and after that, every model and example of social change had to take the need for community, utopia and future into account. 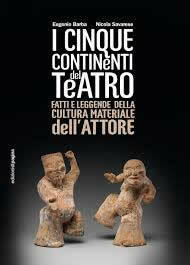 Vincenzo Santoro gives us a detailed description, full of historical and theoretical references, of the experience/experiment of the cultural barter carried out in Carpignano Salentino and shines an emblematic light on the way in which a theatrical community, that of Odin Teatret, related to another community. For five months, in 1974, Eugenio Barba and his actors moved to the little town in Salento to prepare their new performance and started up a dialogue with the townspeople based on exchange and reciprocal gifts that each party cared most about. The people of Carpignano were very familiar with the repertoire of folksongs, dances, and traditional music of Salento, while the Odin actors knew the technical art of using the voice, song, the body, music, acrobatics, and clowning, and employed their acting skills outside the confines of the theater, often performing in unusual urban spaces. Each side bartered culture and identity outdoors, in the streets, the alleyways, the public gardens and the squares of Carpignano. Vincenzo Santoro’s book documents all this with the splendid photos taken by Tony D’Urso, the memories of the participants and the images contained in the attached video entitled In cerca del teatro. 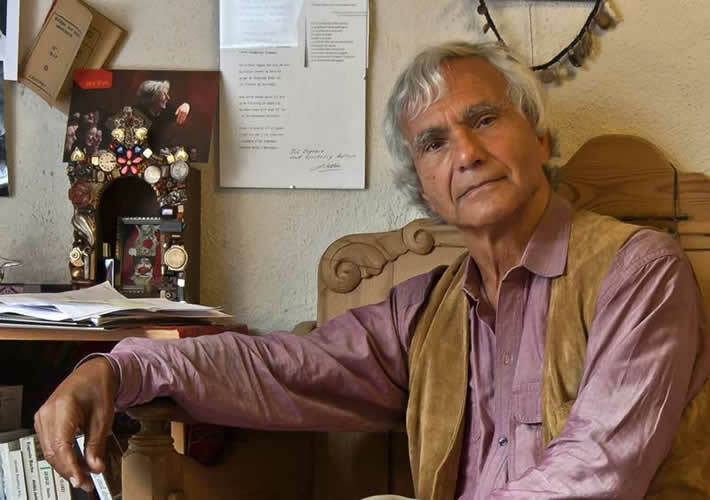 Barba had launched a theoretical path that was to lead him to study the diverse techniques and traditions of the actor in varying cultural and social contexts, to bring the study of actors and their traditions nearer to the study of people and their cultural traditions. Theatrical anthropology, Barba would say, is the study of the pre-expressive scenic behavior that lies at the base of the different genres, styles, roles and of personal and collective traditions. So it was that he founded ISTA (Scuola Internazionale di Antropologia Teatrale) in 1980, and in 1982, together with Nicola Savarese, published L’arte segreta dell’attore, of which I cinque continenti del teatro (Edizioni di pagina, Bari, 2017) is, after another thirty-five years of study and research, the sequel, this time even more richly illustrated with photos and images (from 700 to 1400), and unusual for its extra-large, atlas-like dimensions, for the original mingling of texts and images, intriguing in its accumulation of material (photos of scenes and theatrical sets, but also commemorative stamps, posters, book covers), quotations, memoirs and anecdotes. A passionate voyage inside the stories and culture of actors, theaters, playwrights, directors, producers and all those whose activity has built the ever-changing tradition of the theater.